Maurizio Sarri praised Chelsea for staying in contention against a rampant Liverpool team - an achievement he believes would have been beyond his improving side a few months ago. 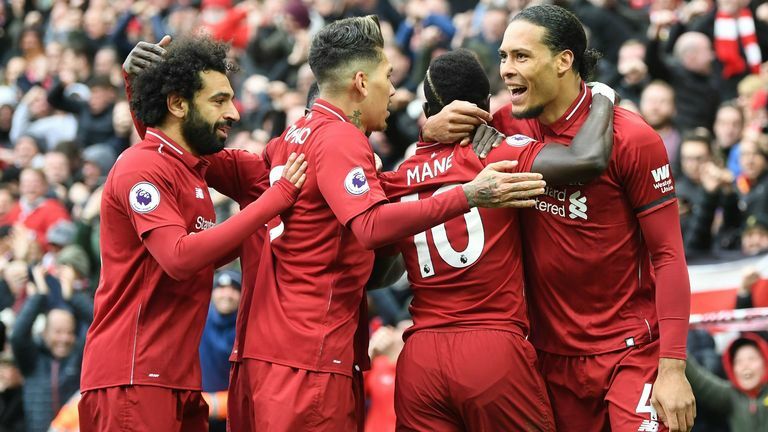 Chelsea frustrated Liverpool in the first half on Sunday's match at Anfield before Sadio Mane's header and Mohamed Salah's sensational strike secured a 2-0 victory for the title chasers. Things could have been different had Chelsea converted three chances which came in close succession after Liverpool's quick-fire double, but Sarri was pleased at his side's resilience against superior opposition. "We played a good match against wonderful opponents," he told Sky Sports. "We stayed in the match for 50 minutes. "After the second goal - a shocking goal in a good way for them, but not for us - we reacted. 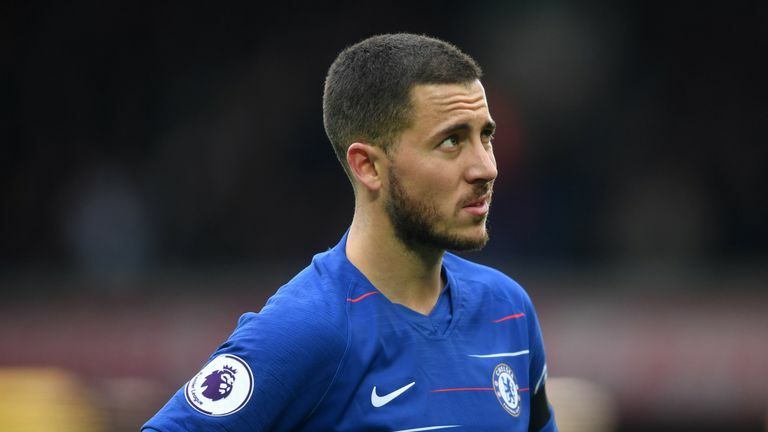 Chelsea stay fourth after the defeat on Merseyside, but their hopes of qualifying for the Champions League suffered a blow, with their top-four rivals all having at least a game in hand. 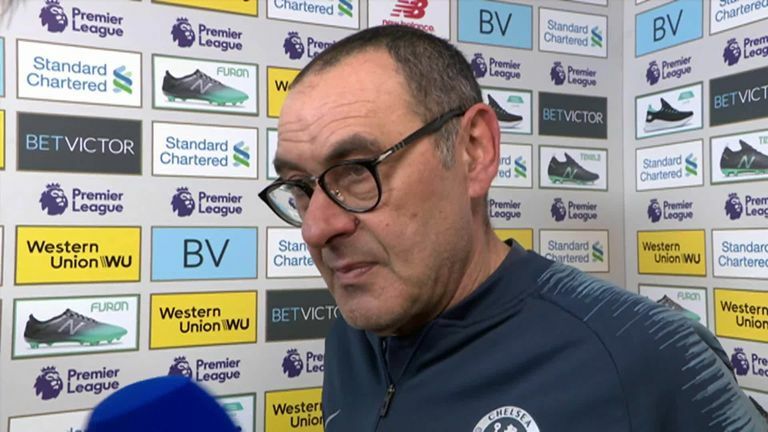 Asked for his assessment on the race for the top four, Sarri added: "It's not easy of course, but we have to fight to the end. "It will be very hard for every team in the last month of the season. We can expect very strange results in last month, because we are tiring like all the other teams."